In my SH1 I've the yellow thread, in SH2 the black one. 1. Finish the last daisy (complete, 1SR, 4R, 1SR). 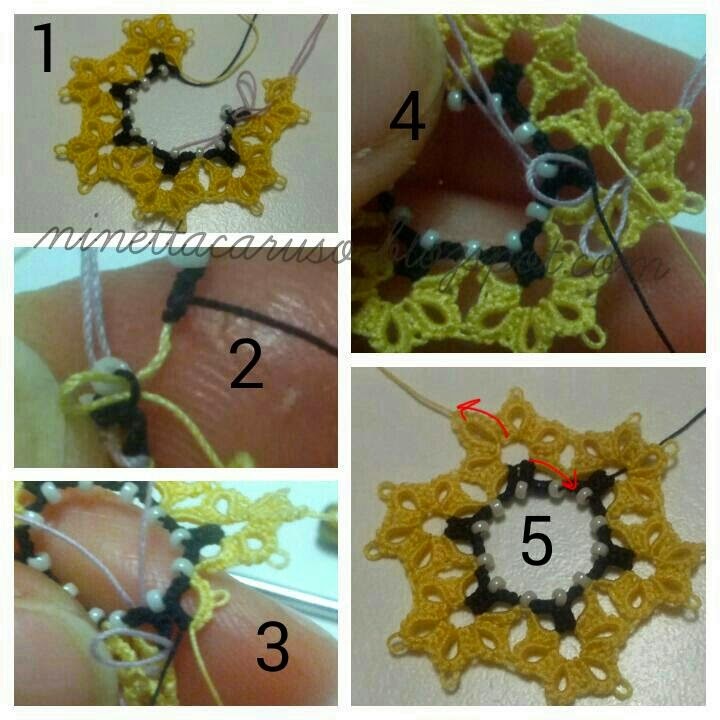 In those pics there's one motif with 6 repetitions, needed for the second last row of the doily. 2. 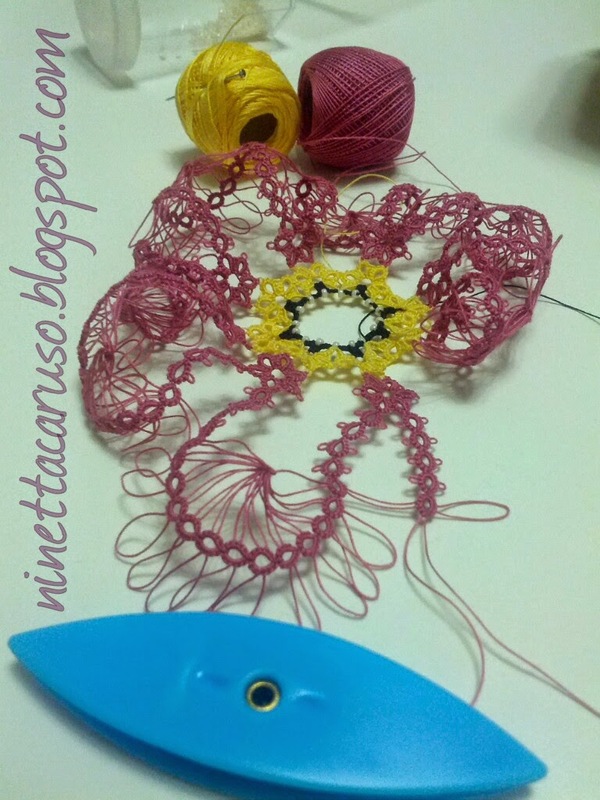 Start a split ring (that it'll be part of the first daisy), with SH1: 3ds, p, 3ds. With SH2: 3ds, join to the first SR of the first daisy (see it in pic), 3ds, close. 4. 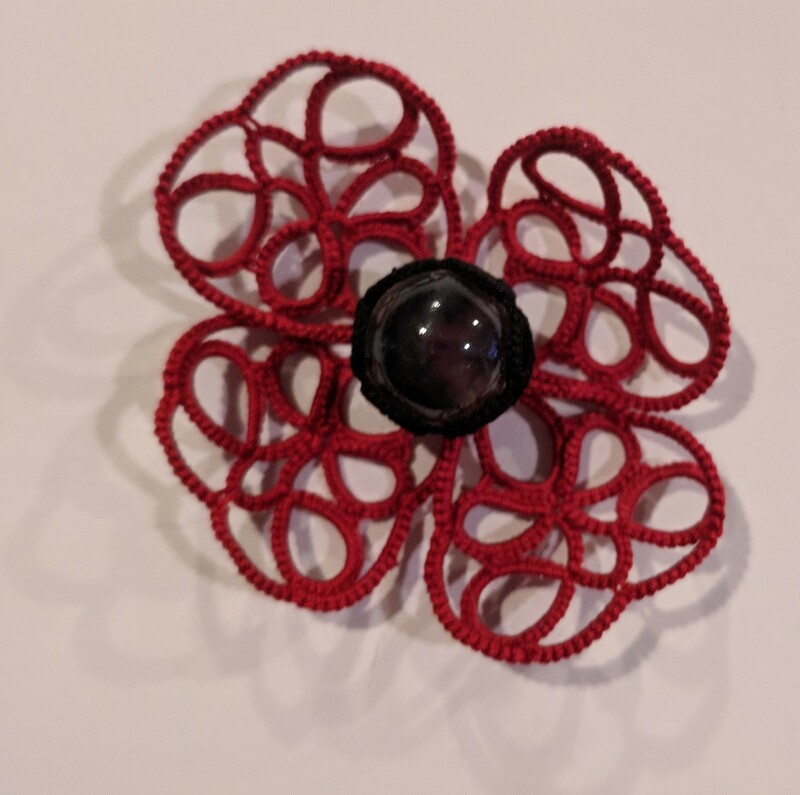 Start the last normal ring with SH1: 3ds, join to previous SR, 3ds, join to previous daisy in the fourth ring, 3ds, join to the very first ring (Jane Eborall has a method to avoid the twisted picot for this last join, look through her Tips&Techniques). Then 3ds and close. In the doily there's one central motif with 8 daisy repetitions and another 8 more motifs with 6 daisy repetitions, that need to be prepared in advance. For this tutorial I'm having a lot of fun with mobile apps! I'm using PhotoCollage and PhotoEditor, it's amazing that you can get so much editing power from a phone. It's smart indeed! Just to have a chuckle, if you ask for a "phon" (without the "e" that is) in Italian, they will bring an hair-dryer. You're warned. 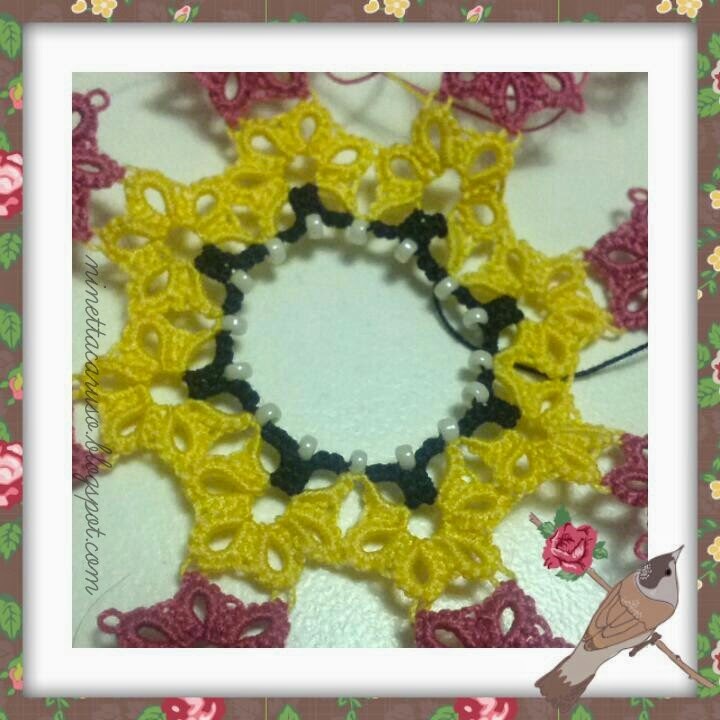 I missed your first part, very interesting doily, one I think I will be trying in the future. I'm still catching up with your floating rings idea, but thanks for your detailed tutorial.